The new Rob Hanes Adventures, Volume 0, trade paperback is now available at the WCG Comics online store—just in time for the holidays! Released in September, the book has been held back for sale online to give retailers an exclusive opportunity to sell the trade to customers. 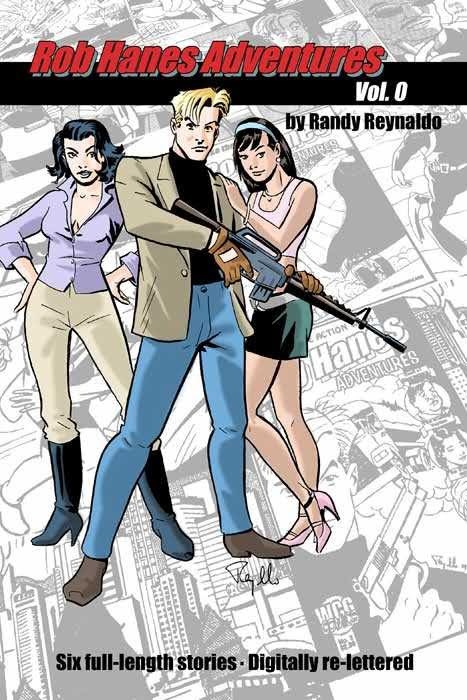 The 144-page volume compiles the original 4-issue run of Adventure Strip Digest, the precursor to the current ongoing comic-book series. All of the stories have been completely re-lettered for the new edition. Rob Hanes Adventures, Volume 0 can also be ordered from your local retailer through Diamond Comics Distributors (item #JUL10 1161) and Haven Distributors. The book features 144 B&W pages and retails for $15.99 (ISBN #978-0-9845769-0-6).